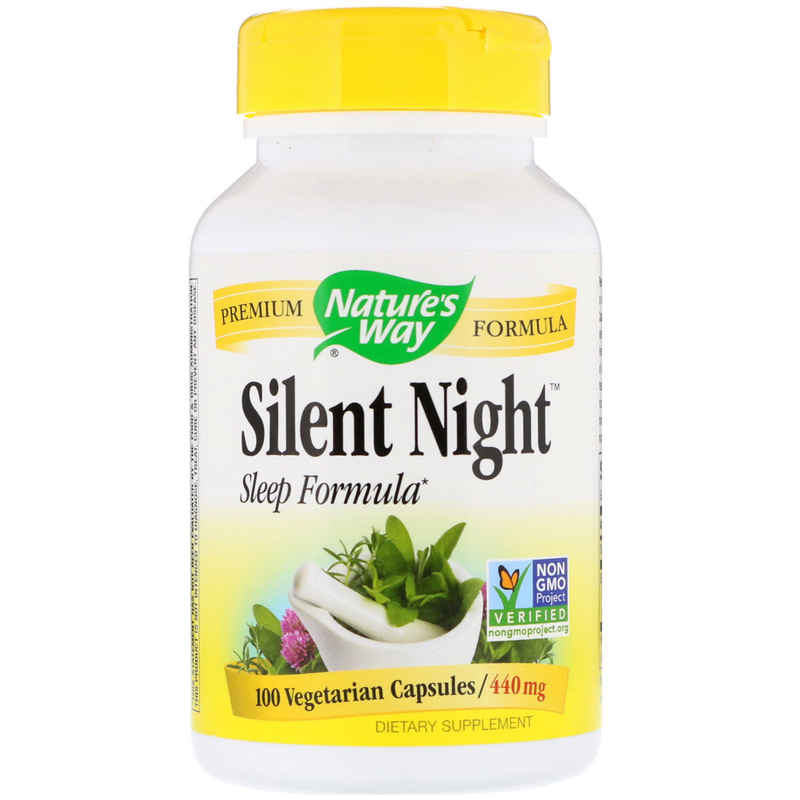 Silent Night formula has a relaxing effect to support restful sleep. It is carefully tested and produced to superior quality standards. Recommendation: Take 4 capsules one hour prior to bedtime. 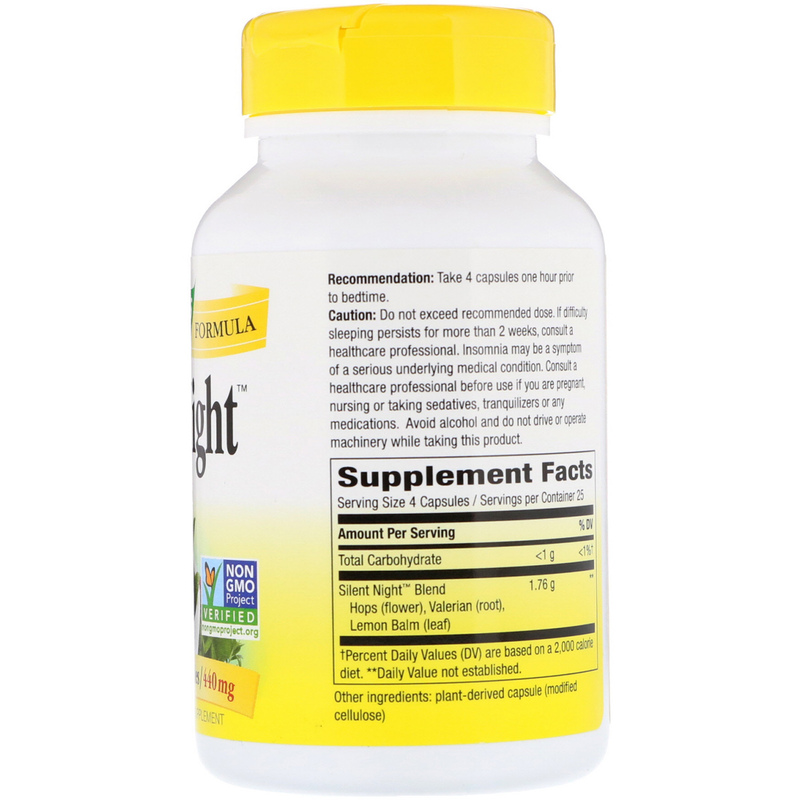 No sugar, salt, yeast, wheat, corn, soy, dairy products, artificial colors, flavors or preservatives. Caution: Do not exceed recommended dose. If difficulty sleeping persists for more than 2 weeks, consult a healthcare professional. Insomnia may be a symptom of a serious underlying medical condition. Consult a healthcare professional before use if you are pregnant, nursing or taking sedatives, tranquilizers or any medications. Avoid alcohol and do not drive or operate machinery while taking this product. Keep out of the reach of children. Safety sealed with printed outer shrinkwrap and inner seal. Do not use if either is broken or missing.